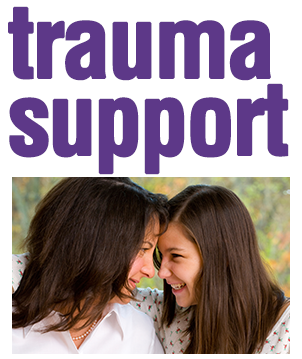 Our Trauma Specialty Services are for children and adults who have experienced sexual trauma in their lives. In addition to general trauma services, under the Victims of Crime Act (VOCA) grant, we provide services to individuals and their families who are victims of sexual abuse, with or without insurance or with private insurance, at no cost to the individual. Our Las Familias program is the only one in Pima County that specializes exclusively in the treatment of individuals and their families who have experienced childhood sexual abuse. We provide a safe place for survivors to gain strength, learn coping skills and develop trusting, caring relationships. We recognize that sexual abuse treatment is not just for the survivor, but for the entire family. This practice promotes healing, strength, trust, and the essential elements of a new beginning. The Children’s Program utilizes a combination of individual, family, and group therapies and psychoeducation to establish healthy boundaries and learn critical coping skills. The Adults Molested as Children Program addresses the long-term consequences of abuse and how it negatively impacts every aspect of the victims’ life. Adult treatment discovers positive and healthy ways to trust and care about themselves and others. The Non-Offending Parent Program assists parents and caregivers who were unable to protect their children from sexual abuse and trauma in understanding the dynamics of sexual abuse and molestation, the behaviors of children who have been abused, and safety planning. If you are interested in learning more about these services, please contact us today! If you are inquiring about trauma services in other parts of the state, please contact your local office.